Gadgets are all the range nowadays, and it’s rare to come across someone without one in their hands or in their bags. Smartphones, laptops, smart watches, just to name a few. Interestingly, technology has infiltrated almost every other industry, becoming useful even when it comes to pet products. Yes, pets, just as much as people, have some uses for tech gadgets. If you’re a pet owner looking to give your pet the best experience, you should start looking into the best available gadgets for pets. Some ensure the safety of your pet and enable you to watch over them while you’re away, others make way for simplified feeding, others are made to make your pet get in some much needed exercise while those made for playing will most likely be your pet’s favorite. Below are some gadgets that will help you pamper either your cat or dog and keep them happy and healthy. If your dog loves a good chase, this is one of the best gadgets you can get for them. Go-Go Dog Pals is a remote controlled device which can go for up to 22mph. It can move over short grass or tuft. To make it even more dog-appropriate, it’s built unlike other remote controlled toy cars with its sturdy outer shell that can withstand dog bites. Its battery lasts for up to 15 minutes, which is enough to give your dog great exercise. For your cat, this dart gadget with a 360° rotating laser head is a great choice for a toy. Keep your cat entertained trying to paw at the laser light which has 16 speed settings and combinations. With a programmable automatic turn off after 10, 15 or 20 minutes, you can keep your cat busy when you’re trying to slip out of the house unnoticed and have it go off after a while. If placed on a high surface, there’ll be plenty of room for the laser dot to fall on. Dogs love it when you throw them things and they get to chase after it and bring it back. So it’s probably a sad thing when you can’t give your dog this playtime after a long day at work, or just when you’re not feeling up to it. 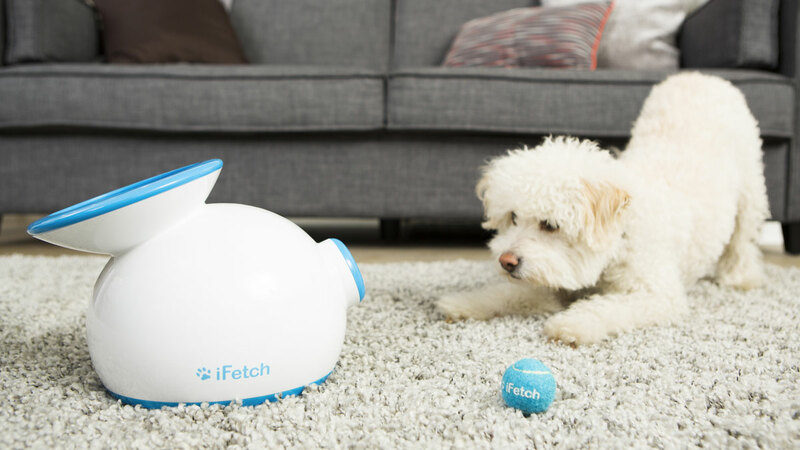 iFetch is made to take your place as the thrower, keeping your dog playing even without you. It’s an automatic ball thrower that can throw small tennis balls to distances of 10, 20 or 30 feet. iFetch is great for small to medium sized dogs, while there’s another version of the gadget, the iFetch Too for larger dogs. iFetch Too throws bigger tennis to lengths of up to 40 feet. So, when your arms are feeling all sore from playing throw and fetch with your dog, you can leave iFetch to do the work for you and keep your dog happy. With this one, your dog will have fun trying to get a treat while you’ll have an easy time taking pictures of your pet with your phone. This gadget can be glued to your phone, with a slot that grips on treats. 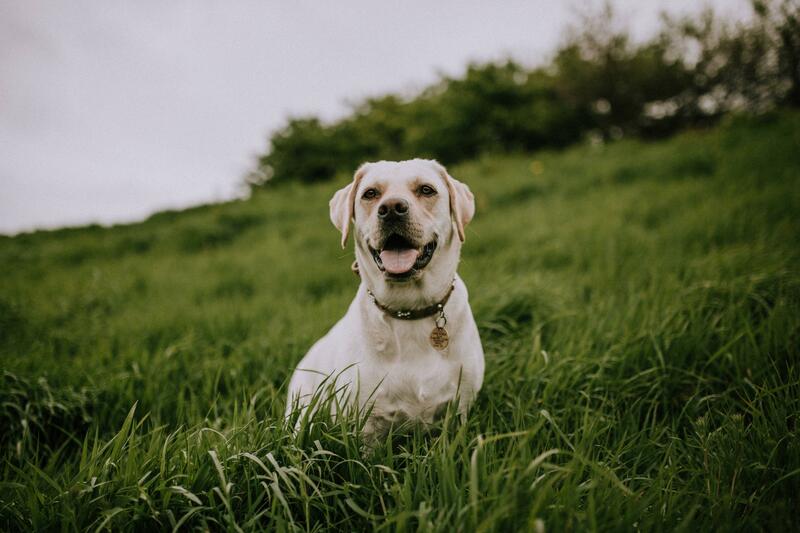 You’ll not be worried about keeping your dog calm or them straying away while you take pictures because they’ll be solely concentrated on the goody. How much does a trip to space really cost? GeekyCamel is your news, entertainment, music fashion website. We provide you with the latest breaking news and videos straight from the entertainment industry. © GeekyCamel. All rights reserved.